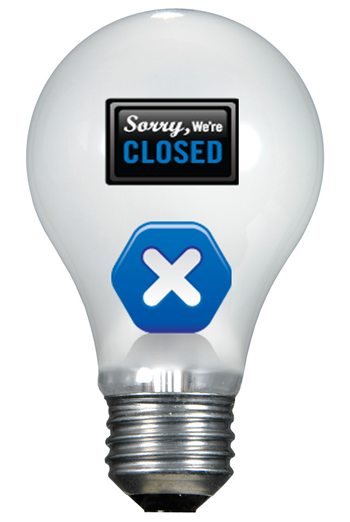 There are several states of being that stop light bulb moments in their tracks. I say ‘states of being’ as they are not limited to our state of mind. Light bulb moments are whole body phenomena. The diagram below shows the main sources of blockages and also the area in our bodies in which they are mainly sited. Note that there is not only a fair bit of overlap between these sites but also a huge amount of cross-communication too. Starting from the bottom up, if we are in a desperate state the lights are switched well and truly off. When we are in danger, the flight or fight response kicks in at the limbic centres of our brain and no amount of creativity can see the light of day. This is unless, of course, you are trained in a martial art where you have learned to control these base instincts. With just some basic training, we can indeed work inspirationally about how we handle pressure situations. The keys to becoming a master of such arts overlap considerably with the skills that conjure up light bulb moments on demand. If you are in pain or discomfort, creativity can fly out of the window. A toothache perhaps affects an area of just a few square millimetres but it can put your whole mind in abeyance until you get it sorted. While you are in that dentist’s chair, you probably won’t be composing an opera. Somewhat ironically, if you could manage to do so, it would make the time go much faster. 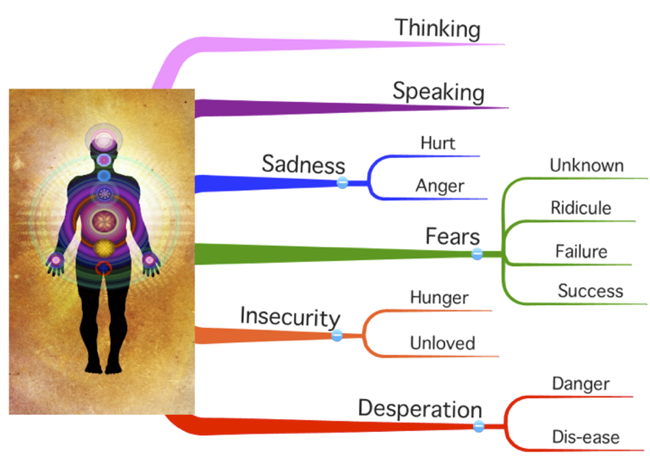 Moving upwards on the diagram now, a secure environment sets the seeds for inspiration to flow. If you are in a workplace where you are underpaid (hungry for money) your creativity will be stifled. This can be exacerbated if there is a lack of recognition in your home or personal environment where you can’t share your achievements. One of the benefits of the Internet and social media is the ability to share your talents with a larger community should your local connections not recognise your genius. Fears which we mainly store in our gut are the next causes of blockage. If we were ever told an essay was poor by a teacher, this memory can stay with us for years. If you find someone else is getting you to write sales proposals or difficult customer emails, you can bet they had this experience at school. Similarly, if our peers laugh at our attempt at art or music, we might never pick up an instrument or a brush again. If you don’t try, you can’t fail so procrastination is also a marvellous success avoidance strategy. The other one is being a busy fool, perhaps starting loads of projects but never finishing any. The two times in my life when I have been the most financially successful were co-timed with the points in my life when I was most stressed. Accordingly, fear of success has been with me for years and I have only just finally dealt with it now I am the other side of my half century. We move now to our heart. The observant amongst you will notice these sites of imbalance and blockage are also sometimes referred to as chakra points. If we are grieving or unloved, it is not time to start that novel. That is, of course, unless you are using the writing process as catharsis. A sad heart will reflect in your work. People who see your paintings, hear your music or read your words will pick it up in their hearts first as opposed to their heads. Again, if you want to induce this feeling, it is possible to temporarily recall that time of sadness while you are working. The ability to empathise and associate yet with detachment is the sign of a true master of their art. We leave now the areas in our body that, for the most part, operate outside our conscious control yet that can affect us greatly. These centres evolved last in our evolution along with the ability to speak and the ability to be self-aware and think. The two are interlinked and often mimic each other. I am sure you have met someone who has to say something in order to think it through. The very act of talking can suppress creativity, for the time we are actually speaking at least. This is especially if the thing we are talking about is of little consequence. If, however, you are an entertainer and your voice is your art, the opposite is true. The subtlety here is that any inspiration comes in on the in breath while we are not talking. The reason for this is that we speak on the out breath and there is a periodicity to the flow of creativity. Our aspirations flow on the out breath and inspirations come on the in breath or the still point between the in and the out. This flow is so subtle that is difficult to detect and tune into. Once you do though, the difference between external inspirational guidance and internal thought becomes clear. As well as actual speech, there is self-talk. I am sure we have all been in a situation where someone is talking and we’re not listening but working out what we are going to say next. This is natural but while doing this it’s difficult to have a massively creative spurt on what to say next. It might sound counter intuitive but by truly listening to what the other person is saying, we have a better chance of replying with something erudite and off the cuff. We just have to learn to trust in the process and to trust ourselves. There is many a time when you can just listen and the other person will tell you at the end what a fabulous conversation they just had. When we are by ourselves, we often have inner conversations. We might be rehearsing a speech or a talk or replaying a conversation where we wished we’d come up with a wittier and more incisive retort. From a light bulb moment perspective, this inner chatter – which is also referred to as the Monkey Mind – is an anathema. Later in this series, I will be showing you the arts of Whole Brain Thinking and Whole Mind Not-thinking and how to make the Monkey Mind quieten down and go for a rest. Only when your mind is silent can the light bulb moments come in. This is of course why in the normal run of things light bulb moments occur when you aren’t expecting them. Perhaps you are driving, dreaming or in the shower when that flash of inspiration occurs. The proximity to water by the way is not coincidental. The trick is to induce the conditions for light bulb moments to occur under your own volition. 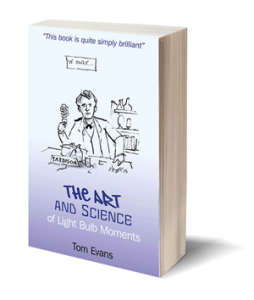 So, next in this series, I will dissect a light bulb moment and explain how it interacts with all these mind centres – all in less than a second.